[May, 2017] I bought bottle no. 668 for 75 GBP at the distillery today. Unfortunately this is another victim to the devil's ingredient to spoil whisky for the angels - called sulphur... 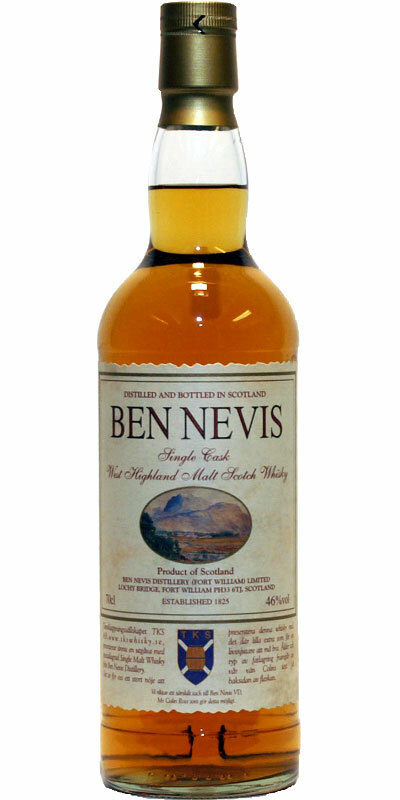 It is a shame as the sherry cask as such as well as the whisky spirit seems to be of a rather high quality. Creamy, nutty, rich - this could have been a great dram. But then the devil came in, burnt its sulphur candle inside the cask and smiled "If you still like this now - welcome to my whisky hell!" No, I will not devilish any whisky aficionado who loves this taste and if you are not sensitive to sulphur this taste might even be bearable. Unfortunately, my taste buds and senses react almost allergic to this flavour so I can only state: "Another one goes down the drain..."
The nose is ok and while there is a little sulphur it is also ok for me but this tastes like a 5 or 6 year old than an 11 year. I agree with hs305 on the existence of sulphur, yet it is just on the verge from burnt matches toward the bad sulphur for my taste buds. Lot's of air let's some of the burnt matches disappear and fruits and nutty sherry appear. The latter is just not 100% incorporated in the whisky. Still something around 84/85 points with the matches disappearing. Very tasty, not an elegant sherry whisky, but comes quite "dirty" and gruff over, reminds me in style (leather, spicy, almost a bit musty) very Edradour, which I like very much. 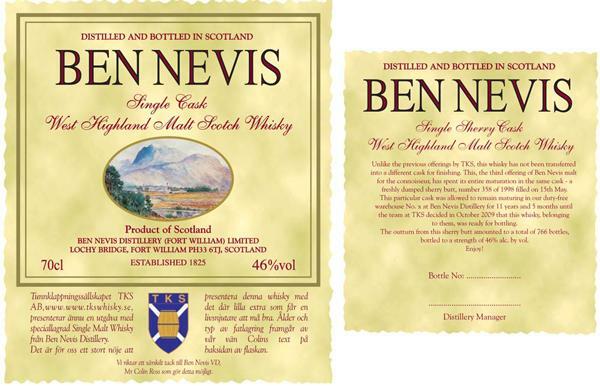 Great sherry cask matured single cask scotch whisky, well done Ben Nevis and TKS!